I am pleased to announce that Prof. Alexis T. Bell is the recipient of the 2018 NACS Award for Distinguished Service in the Advancement of Catalysis sponsored and administered by The North American Catalysis Society. It is awarded biennially in even-numbered years. The award consists of a plaque and an honorarium of $5,000. The plaque will be presented during the closing banquet ceremonies at the 2019 North American Meeting of the Catalysis Society. 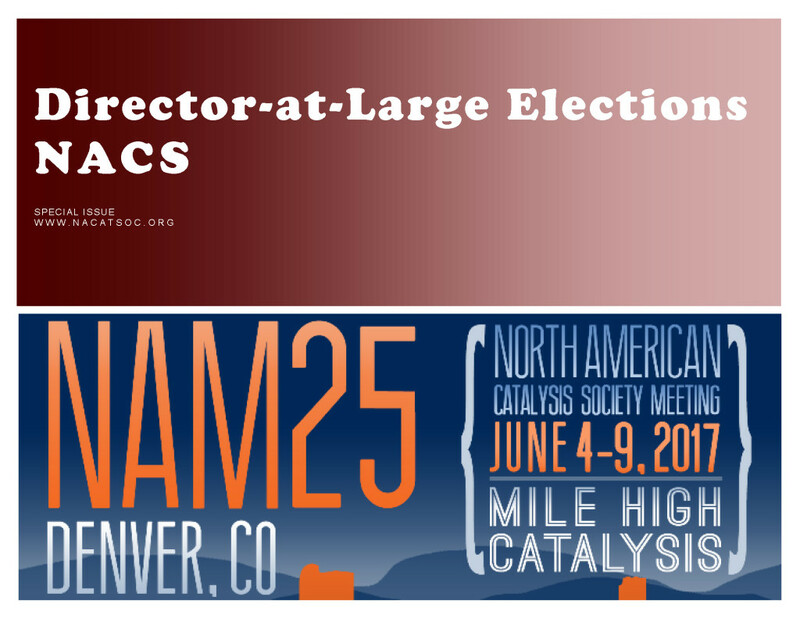 The NACS Award for Distinguished Service in the Advancement of Catalysis is given to a person who has advanced catalytic chemistry or engineering by significant service to the catalysis community in addition to their technical accomplishments. Alex Bell’s distinguished service to the catalysis community has significantly advanced the field through a wide variety of leadership positions. He has been the Editor in Chief of Catalysis Reviews – Science and Engineering and Chemical Engineering Science. In addition, Alex has taken leadership roles that have greatly impacted catalysis. He was appointed as Chair of a Panel on New Directions in Catalytic Science and Technology for the National Research Council from 1989-91. He organized a workshop on the subject and led the writing of a report entitled Catalysis Looks to the Future. Oral presentations based on the report were made to House and Senate committees dealing with science and technology. The findings of the report served to launch and strengthen research programs in catalysis in many parts of the world and provided direction and supporting information for many research proposals submitted in the US. Alex has also served in leadership positions for workshops designed to help shape DOE programs that impact catalysis. In addition to these special assignments Alex has also taken on leadership roles in the NACS and international catalysis societies. Alex established this record of service while advancing the knowledge of catalysis with the publication of over 700 technical publications, with an h-index of 111. He has established leadership roles in mechanistic studies using vibrational spectroscopies and kinetic analysis for a variety of catalytic reactions, and applications to catalysis of theory ranging from molecular dynamics to bond order conservation methods to density functional theory. This most impressive body of work has been widely recognized, including election to the National Academies of both Engineering and Science. The time required for these tasks was substantial, but the benefits to the catalysis community were huge and made possible only by Alex’s unique combination of skill and commitment. The community is very thankful to Alex for these important contributions. Published on July 31, 2018 . Posted in Award, News. Dr. Jerzy Klosin of Dow Chemical Company has been selected as the recipient of 2018 Herman Pines Award. Jerzy is a fellow in Corporate Research and Development at The Dow Chemical Company. His research at Dow focused on homogenous catalysis including catalyst development for olefin polymerization, asymmetric hydroformylation reactions and ethylene tetramerization process. Early in his career he has been involved with the discovery and development of Dow’s INSITE Technology and Constrained-Geometry Catalysts. Jerzy together with his teams co-developed several molecular catalysts for olefin polymerization that were commercialized subsequently by Performance Plastics to produce differentiated polyolefins. He has published 49 external papers in the area of organometallic and homogenous catalysis and holds 38 US patents. He has given over 50 invited lectures at national and international conferences and various universities. 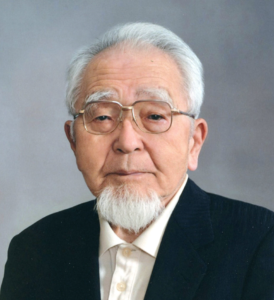 He is a recipient of 2013 SCI Gordon E. Moore Medal awarded for the discovery and commercialization of new homogenous olefin polymerization catalysts. 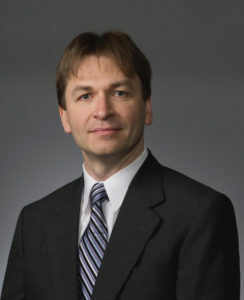 Jerzy is a Member of Editorial Advisory Board of Organometallics, Member of Joint Board-Council Committee on ACS Publications and a board member of Chemical and Engineering News (C&EN). 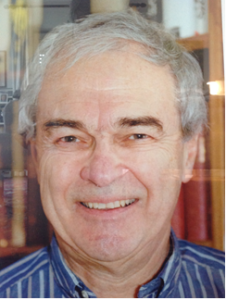 Jerzy was an organizer and a chair of 2015 Organometallic Gordon Conference and co-organizer of 2015 and 2017 Advances of Polyolefins conferences. Jerzy received a MS in Chemistry from Adam Mickiewicz University in Poznan, Poland in 1991 and a Ph.D. in Chemistry (Organic, Organometallic) from University of Florida, Gainesville in 1995. This award also recognizes hiss outstanding leadership and contributions to Catalysis Community throughout his career. He will present his Pines Award address at the May Spring Symposium of the Catalysis Club of Chicago. Published on March 23, 2018 . Posted in Award, News. Robert Grasselli obtained his bachelor degree from Harvard in 1952, after wining a scholarship from the Technical University in Graz, Austria. He obtained his M.A. and Ph.D. degrees from Case-Western Reserve University, Cleveland, from where he proceeded to Sohio as a research scientist. After leaving Sohio he worked at the US Office of Naval Research, Washington, where he was Director of Chemical Research, and then at Mobil Corporation. From 1996 to 2006 he was Guest Professor of Physical Chemistry at the University of Munich and, simultaneously, Adjunct Full Professor in Chemical Engineering at the Center for Catalytic Science and Technology in the University of Delaware at Newark. Later he became Distinguished Affiliated Professor at the Technical University of Munich (2006-2018). Dr. Robert A. Grasselli was a highly accomplished and innovative industrial chemist, renowned for his seminal contributions to the design, development, and commercial exploitation of novel solid catalysis. Inventor in 160 U.S. patents, he was instrumental in developing a fundamentally new method of producing the polymer precursor, acrylonitrile. The key innovation in this one-step process was the use microcrystalline bismuth molybdate; the process was so effective that, after its adoption worldwide, a 50-fold increase of acrylonitrile production was achieved. Dr. Robert Grasselli was elected to the US National Academy of Engineering (1995); inducted into the US National Hall of Fame for Engineering, Science and Technology (1988); was a recipient of the American Chemical Society E. N. Morley Medal (1999); and the E. V. Murphee Award for Industrial and Engineering Chemistry in 1984. 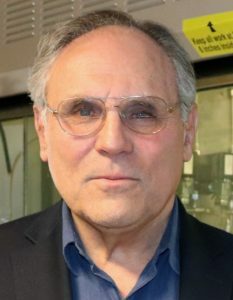 He also shared the Distinguished Award in Oxidation Catalysis from the World Oxidation Catalysis Society in Berlin (2001); and he received a doctorate, honoris causa, from the University of Bologna. He was awarded the prestigious Alexander von Humboldt Prize in1995. Dr. Grasselli combined the best of the American optimism and ‘can-do’ spirit with the old-world European cultural depth and charm of the continent of his birth. He read extensively; he loved music and was an ardent supporter of the Vienna Phillarmonic. He had a passion for skiing and for travel to far-away places. He loved gardening, unusual flora, and modern art. For the last twenty years of his life, he and his wife, Dr. Eva-Maria Hauck, spent their time in their two homes, one in Chadds Ford, Pennsylvania, the other in Munich. He will always be remembered for his ethusiam for science that led him throughout his life to bring friends together in discussion. Published on January 29, 2018 . Posted in Memoriam, News. 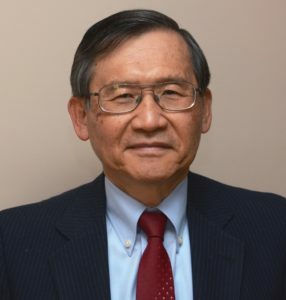 I am pleased to announce that Dr. Teh Ho of ExxonMobil (Retired) is the recipient of the 2018 F. G. Ciapetta Lectureship in Catalysis sponsored by W. R. Grace & Co. It is awarded biennially in even-numbered years. The award consists of a plaque and an honorarium of $5,000. 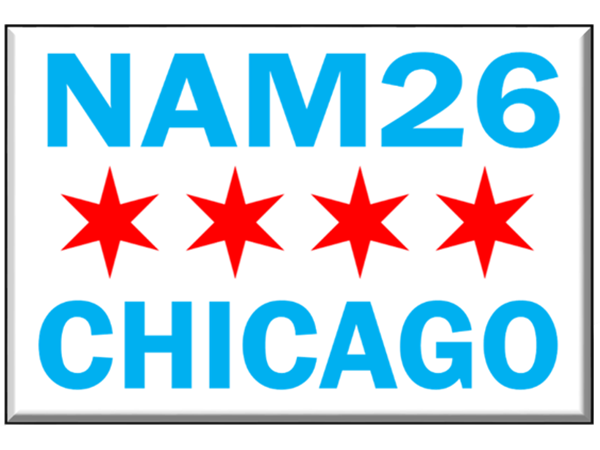 The plaque will be presented during the closing banquet ceremonies at the 2019 North American Meeting of the Catalysis Society. Dr. Ho will be invited to present lectures at the local catalysis clubs and societies during the two-year period covered by this award. The F. G. Ciapetta Lectureship in Catalysis is given in recognition of substantial contributions to one or more areas in the field of catalysis with emphasis on industrially significant catalysts and catalytic processes and the discovery of new catalytic reactions and systems of potential industrial importance. Teh Ho has recently retired from ExxonMobil’s corporate research laboratory after a 37-year industrial career (including 4 years with Halcon R&D Development Corp). He continues to spend his spare time writing papers on catalysis and reaction engineering. He has been a prolific author, writing comprehensive reviews on hydrodenitrogenation, hydrodesulfurization, and process modeling. 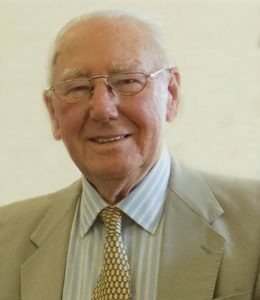 Teh had spent a large fraction of his career in probing reaction kinetics of several industrially important areas with particular emphasis on sulfide catalysis and the role of hydrogenation vs hydrogenolysis and the influence of basic vs. non-basic organo-nitrogen species as inhibitors. To overcome the difficulties of characterizing highly disordered sulfide catalysts, he developed a dynamic technique to determine the number of catalytic active sites and the structure-activity relationship for hydrodesulfurization catalysts. His work has always used high-level modeling for gaining predictive understanding. He is the recipient of 2002 Thomas Alva Edison Patent Award of the Research Council of New Jersey, the 2002 Catalysis and Reaction Engineering Practice Award of the AIChE, the 2004 AIChE Wilhelm Award, the 2006 AIChE Evans Chemical Engineering Practice Award. He capped off his industrial career with induction into the National Academy of Engineering in 2016. Published on January 8, 2018 . Posted in Award, News. 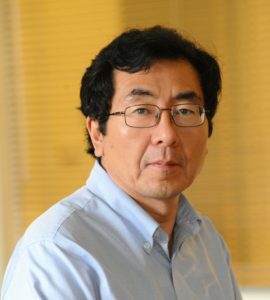 I am pleased to announce that Professor Jingguang Chen of Columbia University is the recipient of the 2017 Robert Burwell Lectureship in Catalysis of the North American Catalysis Society, sponsored by Johnson Matthey and administered by The North American Catalysis Society. It is awarded biennially in odd-numbered years. The award consists of a plaque and an honorarium of $5,000. The plaque will be presented during the closing banquet ceremonies at the 2017 North American Meeting of the Catalysis Society. An additional $4,500 is available to cover travelling expenses in North America. Published on April 24, 2017 . Posted in Award, News. The election for Directors-at-Large is scheduled to start on March 8th, 2017 at 21:01 AM. The NACS will be using online balloting as the only way to cast your vote. We have contracted with a firm that is experienced in on-line voting to ensure the accuracy and confidentiality of the process. Published on March 6, 2017 . Posted in News.